She is a senior consultant in Pediatrics and Pediatric hematology at Kanchi Kamakoti Childs Trust Hospital. She is a great academician, a teacher and doesn't need an intro. She's been a DNB examiner for past many years. This post will be a usefull guide for all DNB and MD student specially the exam going. So here is the advise, straight from the examiner ! Firstly, exams are just a phase in life. It too will pass. So, do not make it a do-or-die experience. Remember, it is just an examination. The real test, is your daily routine.."saving lives of kids". So don’t lose focus on that. If you are sincere and hard working at taking care of kids under your care, you will know what to do in the exams. Look at the exams as stepping stones. Do what you need to do to reach the top. Don’t think of the difficult nature of the stones. "Start with a positive attitude" People have cleared the exams. So it is not impossible. Make a schedule that is realistic and covers every chapter in Nelson. You may jumble up systems or sit with a single system till that is over, that is a personal choice. But do not omit any system. Prepare notes in your own style and revise them whenever possible. You must know the salient points in each topic, not necessarily every point. Work out previous question papers. You will get an idea of the pattern of questions and will be a good guide to your progress. Do not forget community medicine, vaccination, recent advances. If possible, formulate your own questions in each topic. Think about how you would answer that. Prepare algorithms and flowcharts for questions like –approach to a disease or a condition, line of treatment. Make a list of questions you want to revise the day before. On the night before the exam, stop reading by dinner time, have a good dinner, relax and give your body time to ease out the tension. Try to get a good night sleep. Do not worry about the questions, it is not in our hands. Do not think about all the “what if” questions that fill our heads with fear. It is just another day of your life. Face it with courage, determination and a will to win. Answer in the given order. During presentation of an answer, highlight the salient points either by using a different colour or by underlining. Use different colour / capitals/ underlining, to show the different parts of the same question. Marks are being allotted in parts. Ensure they know what is where. Space out neatly and write, let it not go on for pages. Make the answers neat, precise and legible. There is a high probability that you may not know the answer to a question or you are not sure of it completely. Do not panic. Face questions one at a time. Focus on the answer you are writing. Do not think and worry about a question you do not know. If you do not know the answer, leave out a few pages, write the remaining, come back to that question at the end when you will be able to think and write. 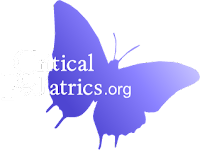 For clinical questions, you can imagine what you would do, how you would approach a child with the given condition in the ER / OP. Do not think about the paper you have written and submitted. It is done. You cannot change. Focus on the next paper. That is the best thing to do. Relax for a few days / weeks after theory exams and then start preparing for practicals. Prepare a list of systems and diseases that are commonly kept in the clinicals. Write a fake case sheet for each disease, so that you know what all needs to be covered in history, clinical examination. Present the entire history to your colleagues and teachers, don’t worry about making errors, it is better to make them now than in the exam. Learn from your mistakes and others’ too. Try to finish taking history and clinical exam within 45 minutes. Request your teachers and friends to correct you / show you how to elicit signs and do the examination. Do not make errors in the basics. Be sure of the order of presentation. Be thorough in anthropometry, nutrition and immunization. These are what separate the kids from adults, pediatrics from general medicine. There is no excuse if you falter in these areas. Prepare for osce (objective structured clinical examination) parallelly. There are certain topics that need to be covered compulsorily for osce preparation. Wear a coat with long sleeves. Do not panic if they ask you a question to which you do not know the answer. Try to think and answer or else respectfully say you do not know. But don’t make it a habit. Be loud and clear while you talk. They are only making you do what you have been doing daily in the hospital—take history, do clinical examination, derive at a differential diagnosis, plan the line of management. You need to talk, converse and not keep quiet because by not doing that you are making it hard for them to help you. Do not worry about the reputation of the teachers / examiners. At the end of the day, you have to perform.